Are clients becoming critical of your work? If yes, start working on the “why” part of the situation. You wouldn’t like losing them to your competitors. So consider the reasons that made them wary of your services. Do you know that 86% of the corporate employees and executives believe that ineffective communication leads to workplace failure? You wouldn’t want your organization faces the same outcome though. So, how do you avert this situation? Understand, your clients expect regular updates. 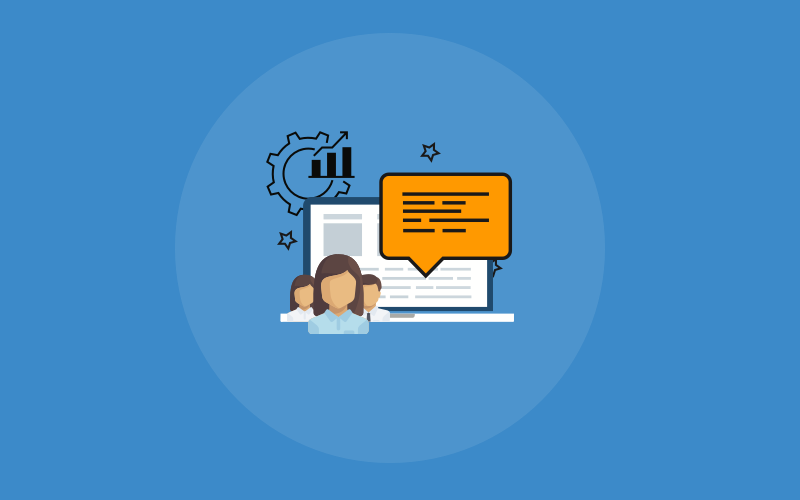 How their project is progressing and what approach does your team implement to get every task accomplished is all they demand to know. This way they can give their output on how the course of action needs to be changed. After all, meeting project objectives are their ultimate goal. As the project is shaping up, your client decides on making changes to the project. They’ve dropped a mail thinking you’ll be quick to follow the changes. But you missed the changes amidst other emails. Outcome? The client is furious. Understand, one failure leads to another. The client expects a prompt response on your side. Therefore, missing out on any update can disrupt workflow, estimated budget, and most of all project deliverable. Basically, you wouldn’t prefer to be in a list of 92% of the organizations that miss deadlines too. Once you start missing updates, you also lose track of existing project goals. This can lead to three different outcomes. End result: Stakeholders and you face losses both financial and social. Note the above-given reasons are some of the factors that impact overall work productivity too. Question, how do you overcome them and still boost workplace productivity at the same time? That’s easy. Try using a project collaboration software. While 75% employers rank collaboration as very high, only 49% of millennials support workplace collaboration tools. Reason? Most still rely on the traditional methods to collaborate with clients and across different teams. Outcome? 28% of employees spend their workday in reading and responding back to long email chains. And only 19% employees are able to track necessary information to complete tasks. Traditional collaboration methods have to lead to losses. A loss in terms of time, money, company reputation, and clients. To overcome this scenario integration of team collaboration software is necessary. According to a study by Mckinsey, collaboration tools are responsible for increasing employee productivity by 20-25%. Imagine this - you have a deadline to meet. But before the project goes into its final stage, your client tells you to send in a progress report. What do you do? You get the best teams members on board to help you generate a meaningful report. Once you are done with the report, you realize that it took 2-3 days to get that file on the table. Not only does the data get old, the client also shows its disappointed with your late response. You won’t face the same scenario if you’ve already got your collaboration tool for business in place. No more will you regret the report time. You can easily overcome delays and generate a complete report on client’s request in a few clicks. This software helps you delight clients and assists your team to have more time for result-driven activities. 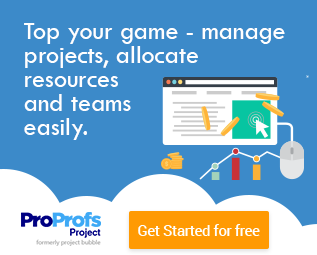 Check ProProfs Project Reporting feature. Before collaboration tool came into the picture, work seemed like a pile of mess that nobody wanted to clear. Long email chains are a fine example of this scenario. In fact, 23% of virtual teams admit that long email chains are one of their biggest challenges. But why? Employees were not able to keep a tab of all the latest updates. Clients were frustrated and organizations ended with bad reviews. Besides latest changes, employees also failed to track essential files and documents that explained a project’s next stage or progress in general. This lead to sour relations with client and other stakeholders. However, integration of collaboration software has helped many organizations get over these consequences. Every document essential for a project’s progress can be shared or found under one task. Clients can gain access to these files too. They can even leave their comments under the same task. This way a manager can find the latest changes to the course of a project and communicate accordingly to the client. Whether it is a collaboration with a remote team or teams across different departments, work has finally become organized with this software. It has improved communication with teams, its members, and stakeholders. No matter where you are, informing them of their upcoming schedules or a new task has become simple. 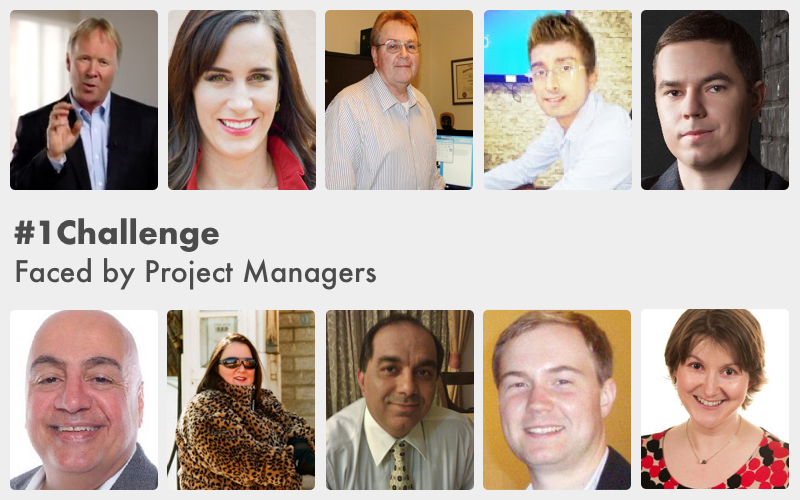 Task assignment to progress review, collaboration tool has got you covered. Other than that, the software also helps you keep a track of project budget estimates. This can be done once you add a project to the tool. What else? Invoice generation has become simple too. Just add all the expenses incurred while working your way through the project and mail the invoice to the client once the monitoring stage of a project’s life cycle comes to an end. Project management takes in a lot of effort from both client and manager. Even though it comes with a start and due date, it can be described as a phase that tests the patience of many people. But with the integration of a collaboration tool for business overcoming many hurdles, that test patience, becomes simple. It has turned out to be a beneficial software for many organizations. From regular reporting to tracking the progress of all employees and overall project performance, this tool is known to cover them all. No more do you have to wait for the client to set up a meeting with you as to know what all they have planned for the next stage of the project. It can easily be discussed through the collaboration software. In short, it is one tool that helps you stay on track and complete the project in an efficient manner. So, do not hesitate to integrate one to make your work progress more smooth. Time Tracking Just Got Better!